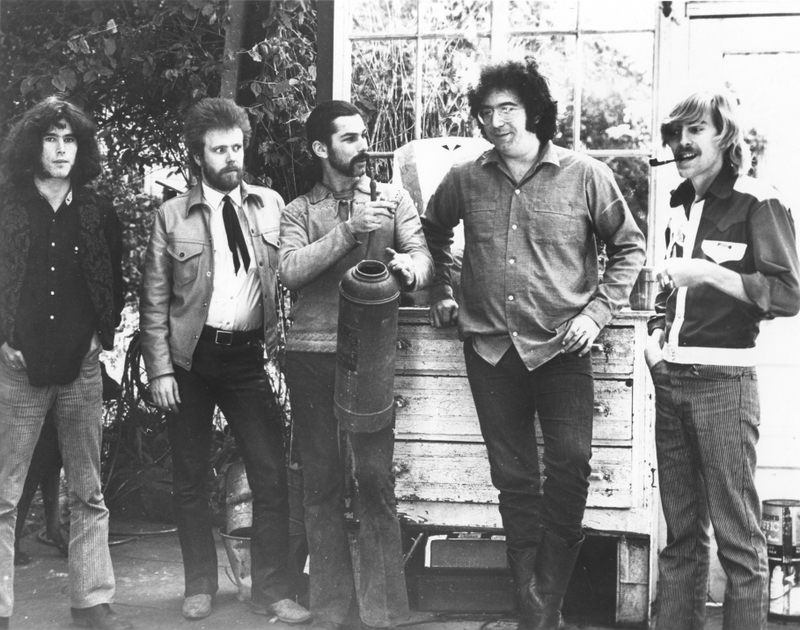 Few and far between are complete audience tapes of the Grateful Dead in 1970 which include the acoustic opening set, the New Riders of the Purple Sage middle set, and the electric Dead closing set. Fewer still are those that sound as good as any AUD tape could in that year. Here, however, is just such a tape. 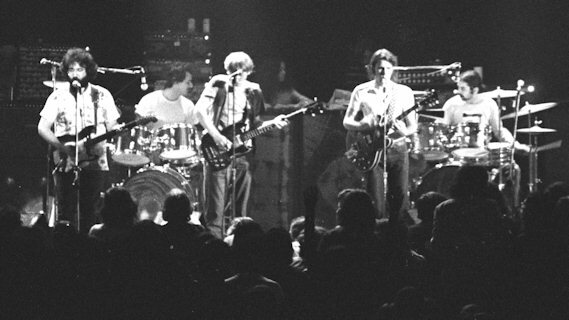 The Dead left the Bay area at the end of April, 1970 and embarked on a six week, 17 show tour hitting mostly college campuses on the east coast, along with a night at the Fillmore East in New York and spending a couple days overseas in England. Despite the spotty completeness of recordings from this run, it’s an epic tour, giving us some of the very best shows of the year - the fabled and iconic May 2nd show at Harpur College easily springs to mind. On those audience tapes we do have from this run, there is no shortage of excited energy in the crowds, something we’ve come to call that “east coast vibe.” This is just the first thing thing that makes the tape from June 4th, 1970 at the Fillmore West in San Francisco an intoxicating experience - the vibe is decidedly “west coast” - the audience is unmistakably lower key than those at Dead shows out east. And that only scratches the surface of what makes the 06/04/70 AUD tape a fantastic listen. If you’ve listened to a lot of 1969-1971 Grateful Dead, you will quickly pick up the feeling of the band being “at home” on this tape from the Fillmore West. No one is in a hurry. Nothing pushes the evening along. But it’s more than that. There is also the sound of the band in this hall. I’m not just talking about the amazing tape recording - speaking of... my goodness, uh... wow - I’m talking about a particular taste to the sound of the PA, the mic placement, the acoustic guitars, the vocals, the drums (especially cymbals). With Bear still not quite yet on his way to federal prison, he is as much present on this recording as the entire band. The sound here at the Fillmore West exudes a sense that he is truly in his element. The room sounds that good. Perhaps it was just the comfort of a known stomping ground and house equipment, but the sonic nature of space within this room is stunning. While those who need to find fault may point to the less than perfect levels and clarity of low-end on this tape, it’s hard to be disappointed with this listening experience. And again, as a 1970 AUD tape? Whoa. The acoustic set is about as close to the Grateful Dead’s back porch as we are going to get. Relaxed, and with no expectations (save for a good deal of complaints over getting the monitors to work properly), the set displays a tremendous intimacy. There is a fragile honesty to the proceedings, without a hint of pretension anywhere. The guitars are warm, the vocals round. In Candyman, the drum and cymbal work are so well mixed, they seem to be perched on the listener’s shoulder. More than feeling like you are on stage with the band, it feels like the band is in your head. The song wraps with the band saving a complete vocal train wreck so well, you’re left thinking this was just some alternate way they decided to treat the very end of the tune tonight. 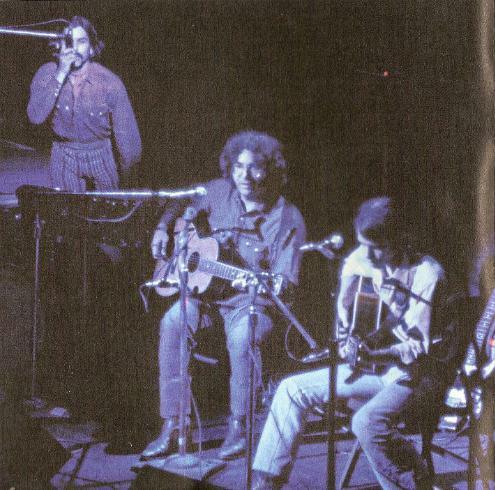 Sublime acoustic Grateful Dead continues. Once David Nelson and Marmaduke from the Riders join them on stage at Cumberland, good goes to great. The closing Uncle John’s Band, again with those drums so well placed up in the mix, is gorgeous. We finally see the audience energy rise - ready for true lift off. When the New Riders of the Purple Sage take the stage, to obviously state that things become more electric it an understatement. This band (with Jerry on pedal steel from inception through October, 1971 - you knew that already, right?) approaches psychedelia with ninja-like skills. You almost don’t catch it until you start listening just below the surface of this country rock five-piece. Early Riders music shimmers with a taffy pulling goo. Drums, guitar and pedal steel are all continually appearing, receding and reappearing from a wash of rippling melodies. Mickey Hart (on drums until late November, 1970) is hell bent on being remembered as the most asynchronous country drummer of all time. That he manages to keep the music driving forward is quite a testament to his drumming chops, because he takes advantage of every opportunity to go after beats that are not on the one, two, three or four - as if he is scoring a game measured in such things. He is winning this game, and causing everything in the musical orbit to open into ellipses and other complicated mathematics (see Louisiana Lady - he scores into the bonus round on that tune). David Nelson’s guitar play twangs as if played by fourteen fingers, let alone four. And Garcia on steel... well, the guy knew how to work an instrument - even one he continually admitting to being woefully incapable of finding the time to master. Casey Jones is delivered in near perfect LP replication. The energy soars and the hi-stepping Grateful Dead march is in full swing. The audience recording brings all of this into intimate focus. It still feels like the entire band is exploding in the palm of your hand. This quality emanating from a 1970 AUD is not something typical, and it forces one to take pause and smile. This is really good. The set list is interesting for its lack of Dark Star or Other One, though perhaps understandable with a long weekend ahead filling out this stand. More interesting is finding a version of “It’s A Sin” showing up. We are missing the first hunk of the song, but still... we have no known previous record of this song being played in 1970 whatsoever. So, pretty cool. The China>Rider (also clipped at the start) is ferocious. It has all the charging madness of a 1968 China Cat Sunflower, and Garcia’s guitar tone blazes with deafening, sun streaming power. The transition into I Know You Rider is nicely done, and the band keeps a quick clip moving which lends even more energy to the tune. The stand alone Attics of My Life is a treat, despite the overdriven vocals. It somehow seems sedate in comparison to the outright spiritual awakening that is communicated in the version a few weeks later on 6/24/70. Then we come to It’s A Man’s World. One of only a dozen known versions, all occurring between April and September 1970, this song is full of sultry swagger. 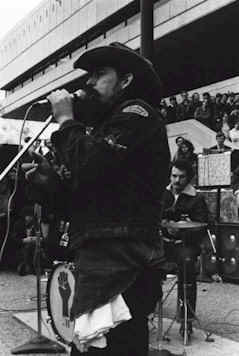 Pigpen howls and howls, with the band cooly chugging below. As Garcia starts working into his solos, everything jells. The band comes alive and casts serpentine phrases and rhythms over the crowd. The song flies with a transcendent “Eleven” vibe, like a jam pulled right out of 1969. Garcia’s notes fly on tiptoes leaving a trail of dancing sparkles. And a special nod to the boys’ backing vocals here - expertly delivered while kicking out such groovy underpinnings. Now the band seems to be hitting full stride. Minglewood bores into the chest, taking the giant sound of 1970 Dead directly back into this earliest of band standards. The solo crashes like a meteor on stage. Bobby screams, rips, roars and screams some more. Good Lovin’ picks up directly where Minglewood and It’s A Man’s World leave off. We are rocketing forward. The mid-song Drums is clipped, but we pick up just as the band gets back down to business. All six band members are moving in different direction, and manage to congeal and disperse over and over again. Garcia wails. His notes have become liquid fire, speeding through the sky. Everyone comes back together and concludes the song with knock out force. We are breathless. And then comes St. Stephen. 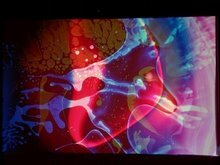 Here the audience tape provides a glimpse into the sonic tidal wave of the Grateful Dead in a fashion not readily available in any other tape this reviewer can bring to memory. After the “lady finger” section of the song proves to be intensely personal - it is so within the head that the head expands to fill all space - the flash pot/gunshot that follows becomes an endgame for the senses. The music becomes enormous, even cataclysmic, as if towering forces are locked in battle. Galaxies collide, exploding in endless eruptions. Above it all, a cymbal swell begins to take form, certainly a mainstay portion of this tune. But this tape brings it into bone bleaching focus. The swell begins to level everything in its path, yet the music muscles its way even higher. Nothing is left of personal space. There is no room left. Here, we are lost to the music. We are gone. And the sound wall continues to roar. This one passage delivers the goods so completely, it starts to make sense why people would religiously follow the band from show to show for decades. You come out on the other side wondering, what just happened? Sensational. Into Not Fade Away we go. More blistering work from Garcia. It’s just a single verse, and the band tumbles into a jam that returns to St Stephen. Garcia is cartwheeling now, flinging plumes of fiery light into space. From here we move into Midnight Hour - only one of five known versions in 1970. The song is another Pigpen swagger punctuated by the band’s crushing hand of power. Under a lazy Pigpen rap, the band begins to take things in other directions. A very Dancin’ In The Streets style jam ensues. Jerry finds his way into extremely pastoral spaces with his solo, juxtaposed against the strut of the music nicely. His solo is soon crooning and swooning, headed toward some astral plane. The band gets it, and we become utterly lost again. The muse of the band is singing New Potato Caboose, Caution, Dancin’ and anything else it feels like singing. Deep within this spectacular passage we hear the smallest hint from Bobby teasing back to China Cat. 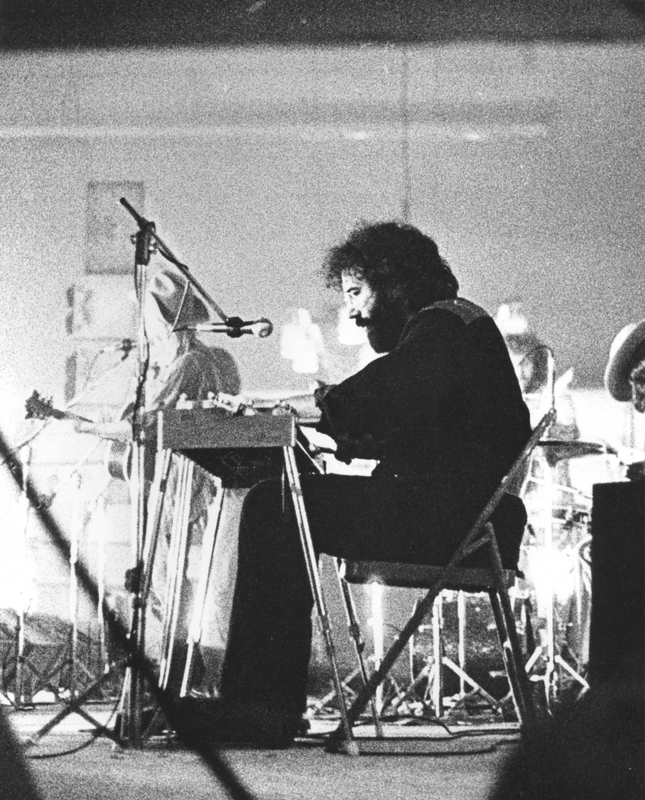 Before we fully confirm in our head that we just heard it, Jerry certainly did, and the band gives the theme full treatment before landing back in Midnight Hour on the back of some Garcia volume knob work. Baby Blue (one of just three known versions in 1970) is wickedly cut short on the AUD tape due, undoubtedly, to a lack of blank tape after such a long evening. But I’m not going to scold our taper, Gerry Olsen, in any way. This tape is pure gold. We are blessed completely in our opportunity to hear it, and the window into 1970 Grateful Dead it provides for our ears. Enjoy!